Human health, environmental quality and integrity are at risk with increasing pollution of the environment. These aspects can for instance inhibit the development ambitions of industry or governments, result in decreased property value or form a threat to natural resources. That’s why Tauw has over 350 experts in-house who tackle any soil and groundwater issues in a sustainable, innovative and cost-efficient way. Soil is one of our foundations. For over thirty years, we have been a top player in Europe in the fields of soil pollution and groundwater contamination. Governments, industry, private companies and others see us as a reliable partner that is always looking for sustainable and innovate solutions. Our aim is to unburden our customers by reducing and solving soil liabilities. The nature, cause and size of soil surveys and projects vary considerably. As do the issues that need solving. We apply our extensive experience in all kinds of soil issues, from policy to research to remediation, providing answers to questions such as: when is soil investigation necessary? How extensive is the soil contamination on our development site and what are the associated risks? Who is responsible for the pollution on our site? How do we quickly reduce contamination risks? Soil and groundwater contamination and remediation is a matter of managing risks, be it the human risks or environmental risks. Are you responsible for soil or groundwater contamination on your company premises? Then it is key to quickly establish the extent of your liability and preferably reduce it. Responsibility for soil pollution is increasingly a legal issue. Therefore, information on the origin or age of the contamination is crucial. Tauw offers extensive experience in site-specific risk assessment and remediation technologies on-site, in-situ and off-site. We offer guidance in all processes concerned and provide advice on a tailored combination of management and remediation technologies. When soil is contaminated, it is very likely that it is necessary to take measures. Whether it is necessary to take measures and what these are, depends on the degree of pollution, the laws and regulations, the risks that the pollution entails and the (future) use of the site. Our experienced advisors develop a remediation strategy for each location that meets your needs and the applicable laws and regulations. We advise and design sustainable solutions using as much as possible natural processes and materials. We consider the broad range of these factors to develop sustainable solutions such as sustainable land solutions, constructed natural barriers for groundwater contamination, soil remediation - using sustainable technologies that make use of solar energy and aquifer thermal energy - sustainable groundwater treatment and waste water treatment with helophyte filters. When it comes to soil and groundwater solutions, innovation is our middle name. We apply the latest techniques and methods, such as thermal remediation. A very topical example is bringing healthy soils back into urban areas to prevent heat stress or for water storage in the event of flooding. Another example? We are working on the conditioning of soil to increase its purifying effect and bearing capacity and to reduce its permeability in the case of soil protection. In addition, we continually update our knowledge on so-called emerging contaminants to provide solid advice on these chemicals that could pose potential risks. The clean-up of soil and groundwater contamination is above all a social task. Contamination can be a danger to the health of residents or affect flora and fauna. In addition, they often traverse development plans of governments and companies, and they have a negative impact on the value of sites. 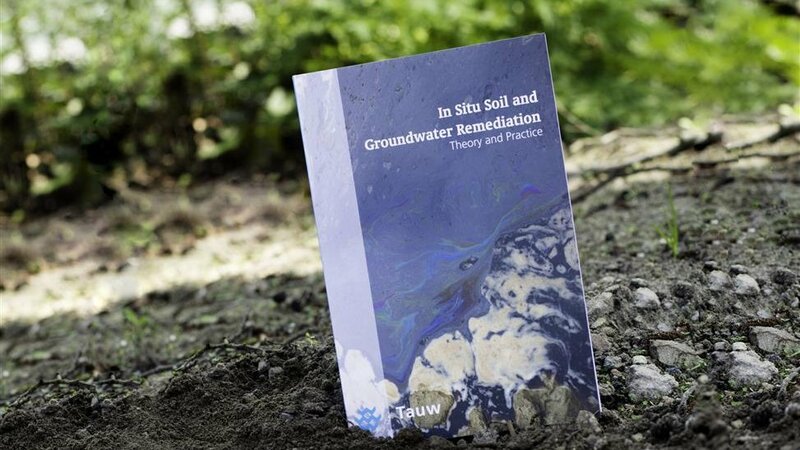 The remediation of soil and groundwater pollution is not just a cost. Social benefits consist of a cleaner environment, a more pleasant living environment and the creation of (development) space. Our soil and groundwater services do not stand alone. Soil and groundwater projects often require a wider approach, that may include site development, monitoring, water management, infrastructure and transactions. Tauw can offer you tailored solutions and services, which cover all these topics. Tauw is an active partner in NICOLE (Network for Industrially Co-ordinated Land management in Europe) and contributes to international (ISO/CEN) and national standardisation bodies. We are also a member of the International Sustainable Remediation Association. Globally, we are involved in formulating policy and taking care of the needs of multinationals in solving and reducing their soil liabilities.